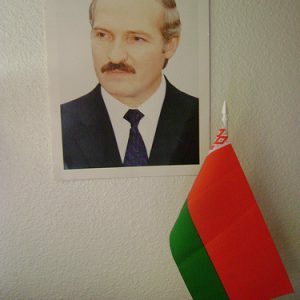 BelarusDigest > Myths > Does Lukashenka have the support of the average Belarusian? Does Lukashenka have the support of the average Belarusian? In 1994 Alexander Lukashenka unexpectedly won the first Belarusian elections. Since that time, measuring his popularly has been difficult for two reasons. First, because since 1994, elections have been neither free nor fair. Second, most of the population has no access to independent media. In the first and only relatively democratic elections of 1994, Alexander Lukashenka received 44.82 per cent in the first round, and 80.1 per cent in the runoff. That constituted 56 per cent of all registered voters. He was re-elected in 2001, 2006 and 2010 with around 80 per cent of votes each time. Most international election observers characterized these elections as neither free nor fair. Restrictions on campaigning by opposition candidates, censorship of the media, coercion of voters, ballot stuffing and non-transparent counting of votes are the most common examples of election irregularities in Belarus. In the absence of free elections, it is difficult to estimate the level of support for Lukashenka. During the years of relative prosperity, as a result of generous Russian subsidies, most Belarusians passively tolerated the regime. However, the situation is changing because of the economic crisis, which resulted from Russia’s cuts to subsidies to Belarus. Despite censorship in the state media and propaganda campaigns, many Belarusians have become disillusioned with Lukashenka.